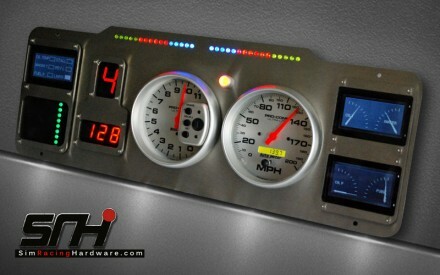 Categories: Dashboards, Custom Products. 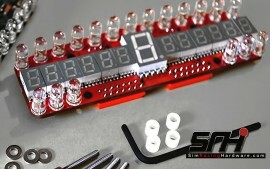 Tags: CSW, Custom Dashboards, Dshboards. 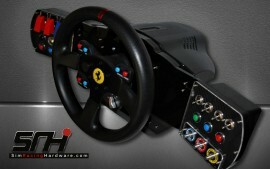 SRH can offer a complete custom wheel building service. We can manufacture one-off or small production runs of Wheels to our customers specification. From helping with initial concept, through to C.A.D. 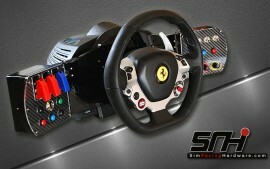 Design, component selection and final production. Because we work in a wide range of materials including Alloy, Stainless Steel, composites and acrylics means we can offer a comprehensive service that is second to none. Add to this that we can supply all our products either partially or fully assembled, means we are flexible enough to deliver the right product to suit your specific needs. 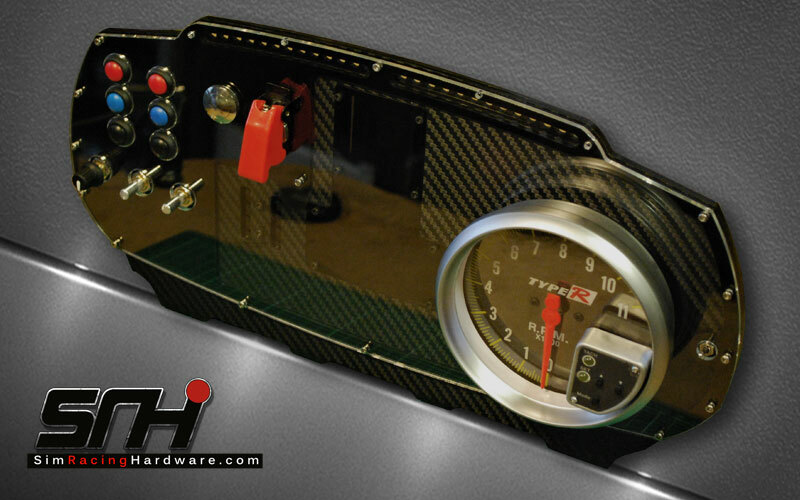 Take advantage of our design teams experience, they can guide you through component selection, material choices, the C.A.D. design phase and finally production of your dream product. Please note this charge is made for the time to make up a costing and initial drawings and is Non-Refundable due to the custom nature of the service. 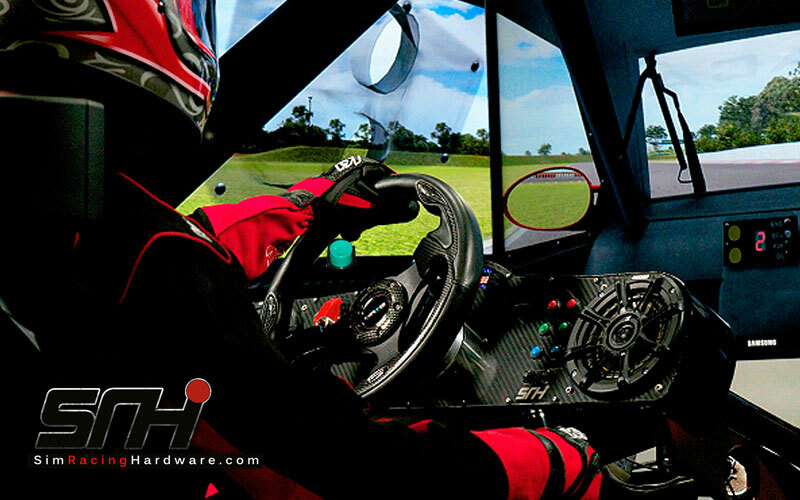 Our Thrustmaster T-GT Dashboard fixes with 4 supplied stainless steel screws, simply unscrew and remove the hub ring and screw the dash on, plug in the USB lead and you’re ready. The unit comes with full instructions and is fully assembled complete with everything you need to fit it and go! 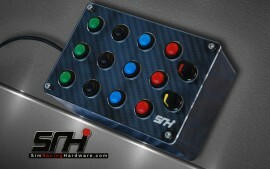 SRH can offer a complete custom Button Box / Control Panel service. We can manufacture one-off or small production runs of units to our customers specification. From helping with initial concept, through to C.A.D. 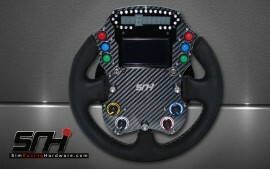 Design, component selection and final production. Because we work in a wide range of materials including Alloy, Stainless Steel, composites and acrylics means we can offer a comprehensive service that is second to none. Add to this that we can supply all our products either partially or fully assembled, means we are flexible enough to deliver the right product to suit your specific needs. * Please note this charge is made for the time to make up a costing and initial drawings and is Non-Refundable due to the custom nature of the service. 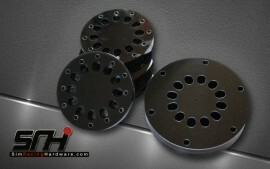 SR Hardware can manufacture one-off or small production runs of wheelplates to our customers specification. From helping with initial concept, through to C.A.D. 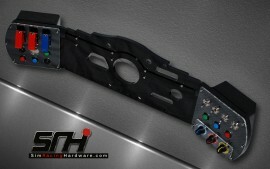 Design, component selection and final production. Because we work in a wide range of materials including Alloy, Stainless Steel, composites and acrylics means we can offer a comprehensive service that is second to none. Add to this that we can supply all our products either partially or fully assembled, means we are flexible enough to deliver the right product to suit your specific needs. 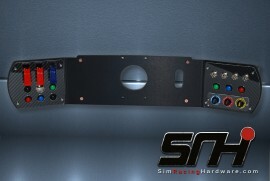 Our Fanatec CSW Dash Pro-Race SLI Mounting plates offer a very attractive and high quality mounting soloution for adding a Symprojects Pro-Race shift light array with two rotary encoders to our CSW Dash. 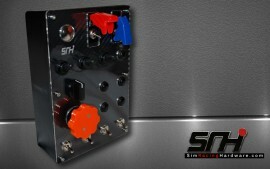 These units come complete with rotary encoders pre fitted and include the Pro-Race SLI pre installed and wired. Our CSL Elite dashboard fixes with 4 supplied stainless steel bolts, simply bolt the dash on, plug in the USB lead, and you’re ready. 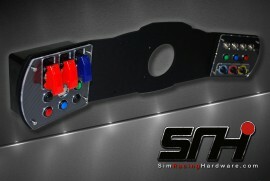 SR Hardware are now able to offer custom made, one-off paddle blocks and paddles for almost any application. 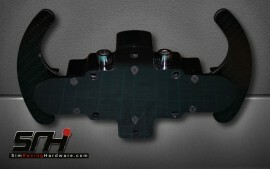 We can also offer custom paddles to retro-fit to G25 / G27 etc for larger wheels and specialist shapes in both black and 2×2 twill carbon fiber. 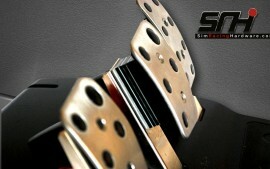 The complete shifter block assemblies offer the highest quality in terms of both finish and feel/operation, add to this our custom made paddles (to your design shape and sized to fit any wheel size) and you have the equipment to build the base for your ultimate sim wheel! The paddles are adjustable for the throw and tension, allowing the user to attain the desired feel and ultimate control. 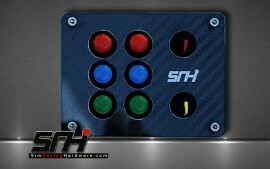 Four paddle blocks (F1 style) will follow soon, with options for further custom applications also. 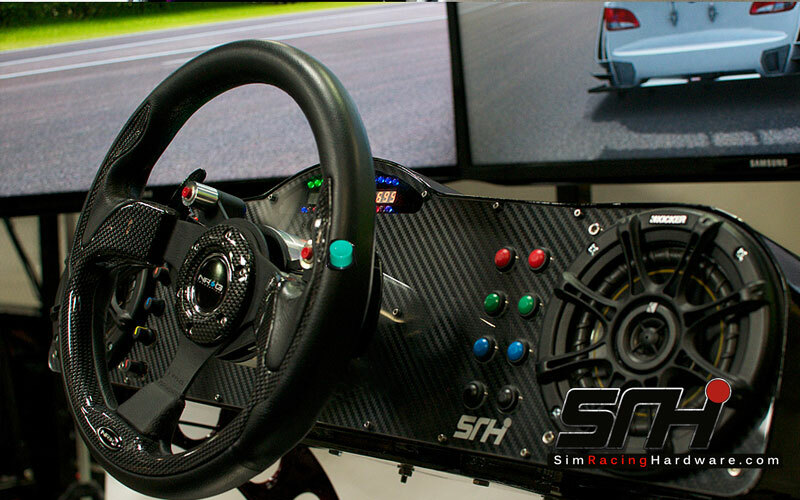 Our Thrustmaster TS-PC Racer / TS-XW dashboard fixes with 4 supplied stainless steel screws, simply unscrew and remove the hub ring and screw the dash on, plug in the USB lead and you’re ready. The unit comes with full instructions and is fully assembled complete with everything you need to fit it and go! Our Thrustmaster TX dashboard fixes with 4 supplied stainless steel screws, simply unscrew and remove the hub ring and screw the dash on, plug in the USB lead and you’re ready. The unit comes with full instructions and is fully assembled complete with everything you need to fit it and go!